Welcome to a new year of weekly fashion posts. Last year we explored ways to shop the clothes you own right now to create fun and stylish outfits. I'm planning to continue in the new year, with all new outfit ideas for real women. Lots of things in life are hard - getting dressed shouldn't be one of them. Let's kick off the new year with plaid. Plaid has been around for a while - it's nothing new. 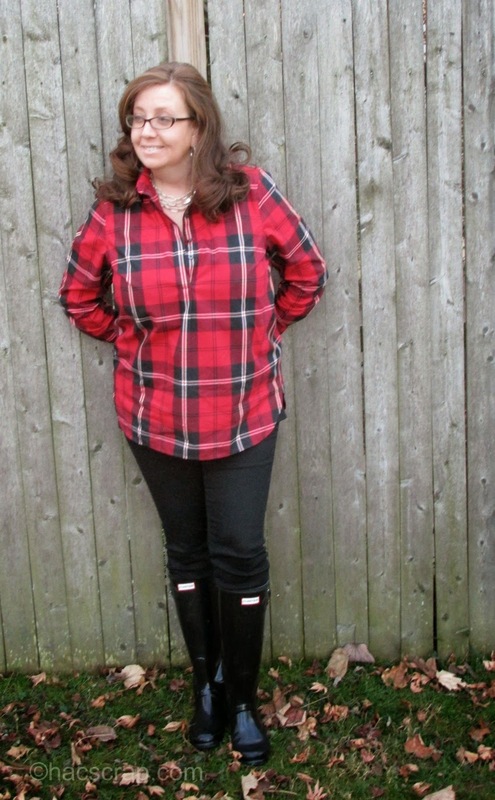 But if you're browsing winter catalogs or hanging out on Polyvore, you may see a lot of plaid lately. Personally, I can't get enough of it right now. Plaid is my new Chevron. My mom bought me this adorable plaid tunic from Lands End for Christmas. I am gaga over the color, and while I wasn't sure about the shape at first, I'm loving it. It works under a sweater or on it's own. Here it is on it's own, a very simple, casual outfit. The weather had warmed up and was rainy. Shirt - Lands End - NEW this season! 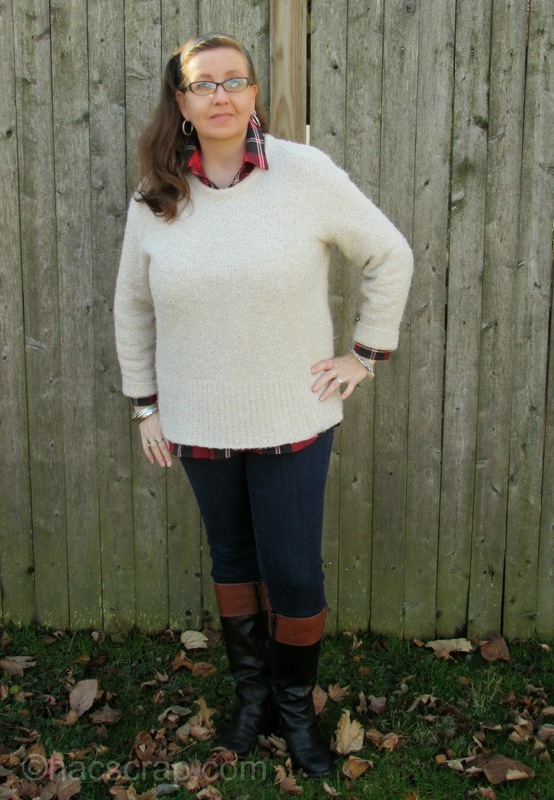 Then I also paired it with my fave J Jill Sweater for a cooler day, casual look. I really like the way the ivory colored sweater sets off the red of the shirt. I plan to try it with a black skirt, tights and boots too and maybe with my winter white cords. . .the possibilities are endless. On a thinner, less curvy woman, this shirt would look great belted over leggings. Maybe with a air of knee-high boots or booties. Are you wearing plaid this season? How are you styling it? This post is linked up at The Pleated Poppy and at Get Your Pretty On. Check them out for more fashion tips and outfit inspiration. Hi there. 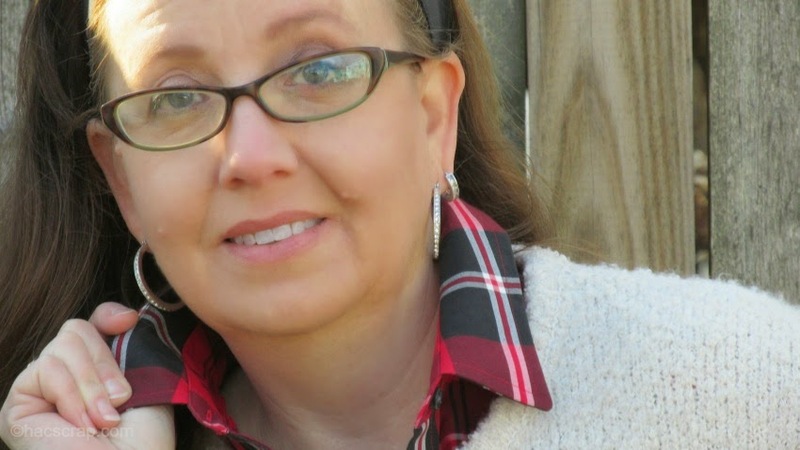 I don't have much plaid, but the mini I wore recently and one other item, but love the red shirt on you, I also love the green plaid jacket you show. 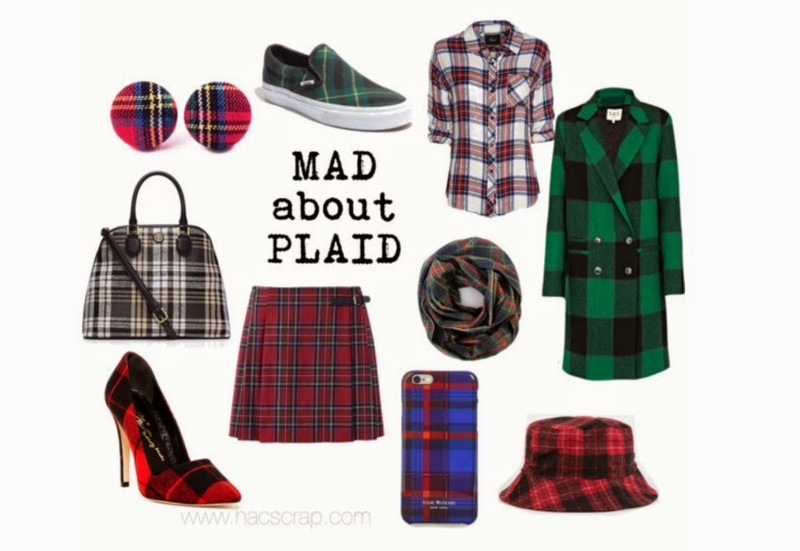 LOVE Plaid...those ideas are so cute. That first picture of you is maybe my favorite one ever! You look great. I bought a plaid blazer a few weeks ago and I'm afraid I don't have the finesse to pull it off. It's super cute though, which is why I bought. Now, I'm trying to talk myself into actually wearing it. To style it, I'm thinking white plain top, dark skinny jeans, and boots.